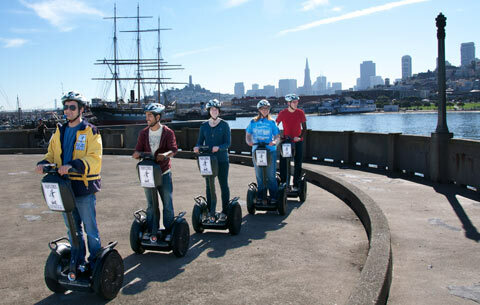 A city as unique as San Francisco demands a unique way to tour it, the Waterfront Mini Segway Tour route follows through North Beach and the Waterfront and allows guests great views of San Francisco Bay and the City Skyline. 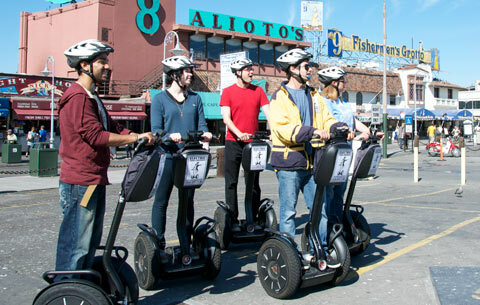 After a 20 -40 minute training session on how to safely operate the Segway, you will explore San Francisco’s North Beach and Waterfront for approximately one hour. Tours are limited to 8 riders per tour guide. 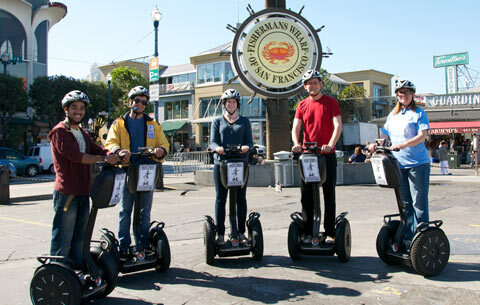 Your experienced and fun tour guide will narrate your experience through a compact single ear-bud sound system. Each guest is issued a compact radio receiver so they don't miss a detail of what the guide is saying about each site seen on the tour. Numerous stops are made for photos - so don't forget your camera.